Views Views Views. 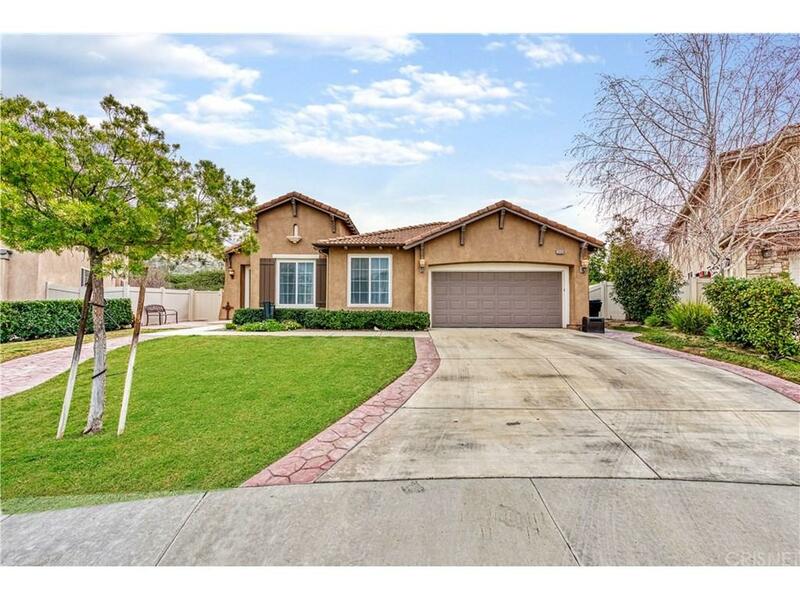 Meticulously maintained single story home. Located in prestigious gated community. This beautiful open floor plan includes 3 spacious bedrooms, bonus room and 2 1/ 2 bathrooms. Custom floors thru out. Plantation shutters that accentuate this home and bring in a lot of natural light to open living and dining room. Kitchen features stainless steel appliances, center island, plenty of counter space, breakfast area which flows into family room with cozy fireplace. Master suite offers walk-in closet, separate shower & tub, dual sinks. Sliding glass doors lead out to entertainers backyard equipped with a spiral staircase that leads to a huge patio deck for entertainment or simply take in the incredible views of the mountains. Laundry room inside.